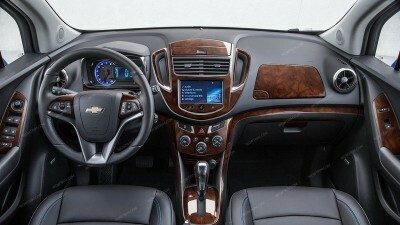 Chevrolet Trax 2015-2016, With 7-Inch MyLink Touch Screen Radio, Full Interior Kit, 58 Pcs. Chevrolet Trax 2015-2016, With 7-Inch MyLink Touch Screen Radio, Basic Interior Kit, 41 Pcs. Chevrolet Trax 2015-2016, Exterior Kit, Full Interior Kit, 12 Pcs. Chevrolet Trax 2015-2016, Basic Exterior Kit, 8 Pcs. Chevrolet Trax 2015-2016, Stainless Steel Pillar Posts, 8 Pcs. Chevrolet Trax 2015-2016, Optional Center Cup Holder Console Interior Kit, 1 Pcs. Chevrolet Trax 2015-2016, Exterior Kit, Optional Fuel Door, 1 Pcs.